Landing email campaigns in recipients’ inboxes isn’t always an easy task. 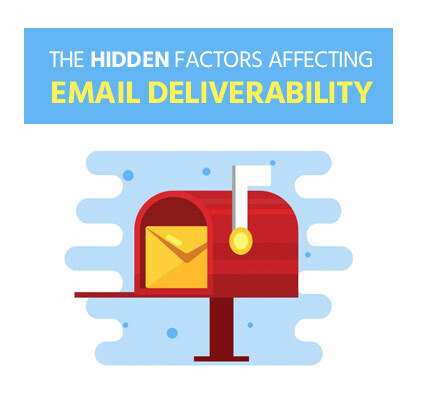 In fact, there are a number of factors affecting email deliverability that you may not even be aware of, including minor faux pas that can land the content of your email in the spam folder. When it comes to non-permission-based email marketing, crafting emails that don’t trigger spam traps and use spam trigger words is essential for a successful lead generation campaign. Traditional email service providers (ESPs) do not provide you with the tools needed to send CAN-SPAM compliant campaigns to your targeted B2B audience. Without properly running your emails through an advanced validation and list hygiene tool before sending, you run the risk of bounced emails, spam traps and all sort of other nasty side-effects. An experienced B2B email lead generation marketer knows that trying to send an outbound marketing campaign to a third-party list without the necessary deliverability precautions is like flushing your purchased list down the toilet! Instead, keep your sender reputation healthy by using an email lead generation tool designed to maximize your deliverability rate. You’ll be able to focus your efforts on converting your non-permission based list into leads, and not whether your campaign is going to render your third-party list useless. Email deliverability is the percentage of emails from each campaign that reach their intended destination without getting lost in the great abyss of blacklists and spam folders. Unfortunately, spam is one of the major factors affecting email deliverability for an outbound campaign. Extremely low open rates are often a signal that your emails are being flagged as spam, or being blocked completely. In fact, stats show that only 1 in 5 commercial emails will ever reach the inbox of your prospects. With the increased difficulty of marketing your message to cold contacts, email deliverability becomes even more crucial. Email service providers are constantly increasing their spam filtering measures, and look at several factors when it comes to filtering your message as spam. Inactive email addresses on your list, misleading subject lines and not including an unsubscribe link are just a few of the most common culprits. Do your B2B email marketing campaigns pass the deliverability test? Clickback MAIL helps you mitigate the factors affecting email deliverability so your campaigns can reach more prospects. Unsolicited junk mail accounts for 86 percent of the world’s email traffic, with approximately 400 billion spam messages being sent each and every day! Luckily, more than 99.99 percent of those junk messages are blocked by one of the major factors affecting email deliverability, modern anti-spam filters. While these filters are in place for good reason, sometimes relevant and valuable industry related content (like your well-planned campaign) are unfairly blocked. Despite what you may have heard, smart marketing and sales teams use outbound email campaigns to convert quality B2B leads every day. Many of the factors affecting email deliverability make up the criteria used for spam filtering. These items are weighed and calculated to assign a spam score to your email campaigns. But what constitutes as a passing score will vary from server to server, making your email deliverability issues even harder to isolate. Poor deliverability doesn’t just hurt cold email marketing campaigns, but opt-in campaigns as well. If you think you’re safe because you’re using a homegrown, permission-based list, think again. Even opt-in campaigns get flagged by overly aggressive spam filters. You won’t always get a bounce-back email that lets your sending server know that the email can’t be delivered either. Many servers don’t provide information about their internal process, in an attempt to prevent potential spammers from finding a workaround. Header spam filters: Headers identify the origin of an email, revealing items such as ID and IP address. If the information in your header appears to be forged or just happens to match up to that of known blacklisted spammers, you won’t reach the inbox. Content spam filters: Several factors affecting email deliverability may be present in the text of your message, including language that is adult-oriented (Viagra), money related (Free!) or urgent in nature (URGENT). Odd punctuation, ALL CAPS, attached .EXE files and links to blacklisted websites can also raise red flags. The bottom line is, there are entire organizations dedicated to filtering spam around the world. Without using a software designed to safely send CAN-SPAM compliant email marketing campaigns to a purchased list, your cold email campaign doesn’t stand a chance. Keep an eye on bounce rates, the percentage of emails returned as undeliverable. An email bounce is when an email can’t be delivered to an address and is either classified as hard bounce or a soft bounce. Hard bounces are a permanent invalid, blocked or non-existent addresses. This is often the result of an email that was deleted or permanently abandoned, and one of the main reasons responsible for email list decay. This is an unavoidable circumstance, as databases decay naturally because people change jobs, titles, and companies. Soft bounces are temporarily undeliverable, usually due to a server issue. A soft bounce is a better scenario than a hard bounce because you still have a chance of reaching these email addresses. This can be a situation where the recipient’s inbox is full, their server is down or the (file) size of your message is too big. Spam complaints are subscribers who have reported your campaigns as spam, and unsubscribes come from users requesting to be removed from your list. (Too many of these may indicate a problem with content direction.) 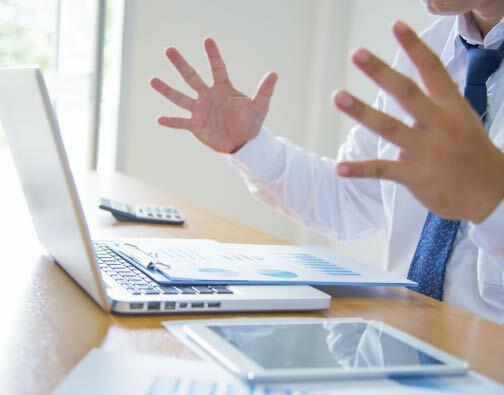 Spam complaints aren’t exclusive to non-permission-based email marketing, opt-in campaigns suffer from this influential email deliverability factor as well. Other factors affecting email deliverability include spam traps and honey pots. Internet service providers (ISPs) use spam traps as a way to spoil an email list of a potential spammer. They block the IPs of whoever is sending to addresses associated with a spam trap, damaging the sender reputation and overall email deliverability of the list. What is the best email marketing service for a purchased list? Data cleaning can eliminate these problems, but traditional ESP and marketing automations don’t clean data upon import. This is especially important with cold and purchased data. To handle this data properly, you’ll need to use email lead generation software. It should come as no surprise that we recommend our Clickback MAIL email lead generation software to safely deliver campaigns to your purchased list. Clickback MAIL clients send over 110 Million emails per month, with a 97% customer satisfaction record (Verified by Zendesk). The software not only runs your email list through a robust hygiene check on import, but it also scans each message for potential spam threats before you send. Stop letting email deliverability slow your business down, and let Clickback MAIL provide you with the tools you need for accelerated B2B Lead Generation. This article was originally published on August 3, 2017, and updated on April 19, 2018.